Sweetly B Squared: Farewell to Summer?!? It hardly seems possible, but school in our part of Michigan starts in just two short weeks. Then I have a super-confusing week, because my daughter's first week of school is just the first week of pre-school orientations for my son. His 'official' start is a week later. Regardless, we've packed this week and next (and heck, last week too!) full of fun stuff we really wanted to do before summer is done! One week ago today, we wrapped up a week-long vacation at my best friend's house in New Jersey and drove back home. The drive was uneventful, but being in the truck that long really throws off your schedule, you know? I had two days before the next adventure, and we kept busy then too! 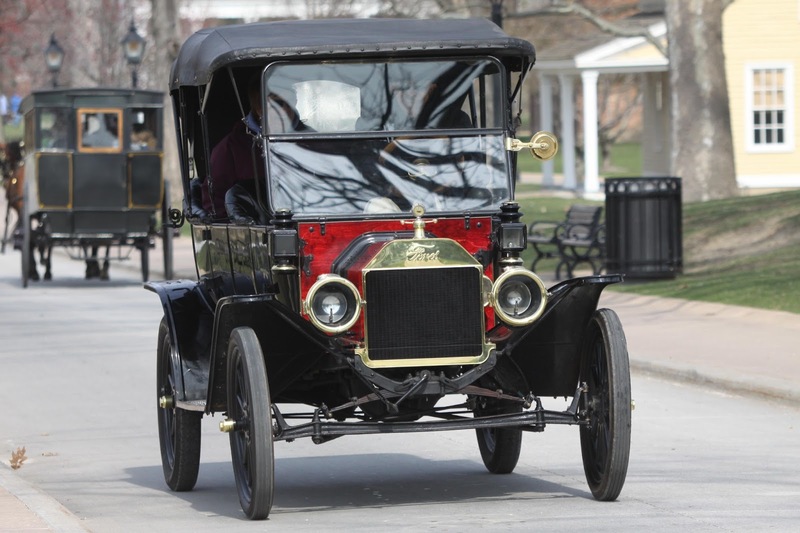 My daughter bought a camera so she can document all the fun, we celebrated family day at Greenfield Village (which my son calls Redfield Village - I don't know why) with the company my husband works for, and my son got his annual physical to get ready for his pre-school journey. I also had to sneak in doing the laundry for EVERYONE. Hubby had two weeks worth of clothes from his last business trip (he got home while we were gone), and the kids and I had our weeks' worth of vacation clothes. It wouldn't have been a rush, but the kids were ready to go again on Friday! We hit I-75 going north Friday afternoon (a brave feat in itself!) so the kids could spend a few days camping with Mimi and Papa. It's an annual thing for them. The park is only an hour or so away from home, and has a pond with paddleboats, kayaks, fishing, and swimming, as well as an indoor and an outdoor pool, a lazy river, and lots of activities planned. My mom (Mimi) promised to take lots of pictures and help the kids make scrapbooks of their weekend again this year. I can't wait to see them! Still this week, we have two ice skating lessons (my daughter's regular lesson, plus a make-up for the one we missed while in New Jersey), dentist appointments for all three of us, and shopping for school supplies. Hopefully we'll get plenty of rest on Sunday and Monday, because then it's back to as much fun as we can handle! 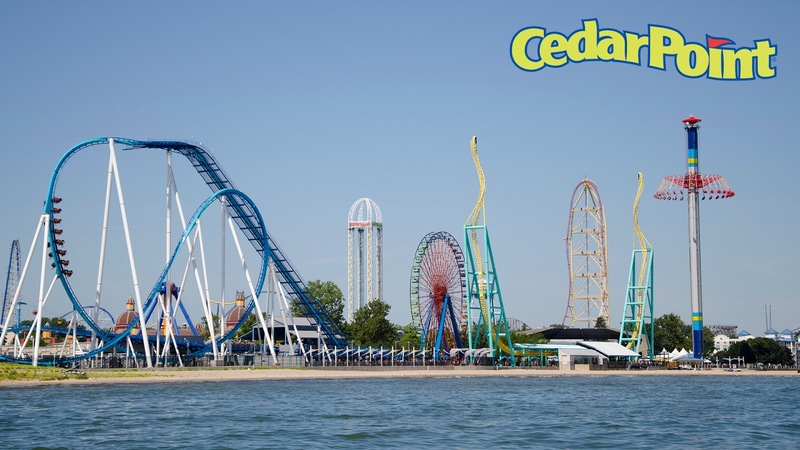 We're loading up the SUV and road-tripping to Cedar Point. While I think I sort of outgrew America's Roller Coast about the same time I had back surgery, hubby and his family still love the roller coasters, and the kids always have a blast at the park's Snoopy-Land (Peanuts-themed kids' rides and attractions. The rest of the week will round out with the elementary school meet & greet, another visit Mimi and Papa before they hit the road again, and my daughter's last beginner 3 ice skating lesson. Labor Day weekend will surely be spent trying to get some semblance of order to the chaos, and getting the kids back on a reasonable sleeping (and more importantly, waking) schedule. Whew! What do you have to do to know you've fulfilled your summer bucket list? Sounds like a good summer. Lot's of family fun. 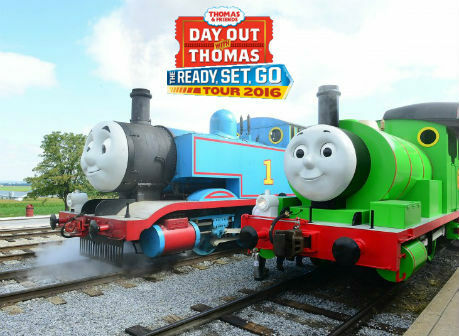 I remember taking our daughter to the Thomas day when she was little. So much fun. Sounds like a good vacation. 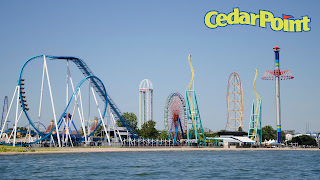 I haven't been to Cedar Point in years! Sounds like you had a great summer! I'm torn between being happy school is starting, or sad that summer is ending. We're heading to the wilderness this weekend. We've done a ton this summer but it's a bummer that we've only had time to take out the boat once. Sounds like you need a vacation from your summer vacation! Or at least a kick-a** planner.